Normally, I would've jumped on the Romney campaign's announcement today that it had won the endorsement of Judd Gregg, the retired senator and son of a former New Hampshire governor. I mean, who would've thought that Gregg, a relatively moderate, slightly socially awkward, business-minded Republican who looks like he could be Romney's brother would have endorsed him? Shocker. "New Hampshire voters are looking for a candidate who will focus on the economy from day one," declared Gregg. "Mitt Romney is the only candidate with a record of results in both the private sector and as governor. Whether it was as Governor, during the Olympics, or as a successful businessman, Mitt Romney has shown that he can turn around struggling enterprises. Right now our economy needs a turnaround." Except it turns out that this wasn't exactly the newsflash many made it out to be. Gregg endorsed Romney in the 2008 New Hampshire primary as well -- also in the October before the election. ("Mitt Romney embodies New Hampshire’s values – values that stress government living within its means, lower taxes, a stronger military and stronger families,” Gregg said then. “Governor Romney is the strong leader we need to lead America forward. He has the experience, vision and values needed to be our next President.") Even before today, Gregg was listed at the top of the Romney campaign's list of New Hampshire supporters. The only way a re-endorsement would be newsworthy is if there had been some sort of intervening split. 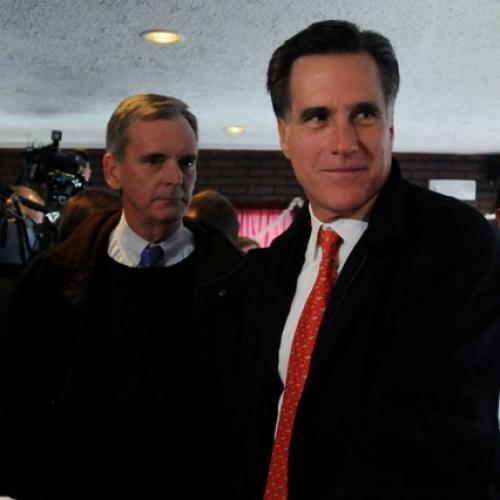 I reached out Romney headquarters and asked: had there been a Mitt-Judd breakup that has been mended today? So far, no reply. I suppose a more cynical interpretation might be that the Romney campaign was hoping to milk Gregg's support for a headline on the day of the GOP debate in New Hampshire (where Herman Cain will boot Rick Perry out of center-stage position!) But I prefer to be a romantic about it, so: congratulations on a happy reunion, gents.